Parodontopathy is a disease which affects and destroys all the supporting tissues of the tooth (gums, cementum, periodontal ligament and alveolar bone) leading to tooth mobility and tooth loss. The main cause of parodontopathy is dental plaque (soft deposits on the surface of teeth in which colonies of bacteria damage the supporting tissues of teeth with enzymes and toxins). Genetic predisposition, some system diseases (diabetes) and smoking are also some of the main causes. Local factors (in oral cavity) which contribute to the occurrence and faster development of parodontopathy are: hardened dental plaque (calculus and concrements), inadequately made fillings and prosthetics, dental trauma, caries, interdental detritus, supporting tissues abnormalities. 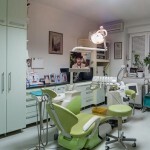 Nowadays, parodontopathy is, along with caries, the most common disease. Our contemporary food choices have greatly contributed to this (the use of mushy, soft and non-abrasive food). Statistics show that the population suffering from parodontopathy is huge- about 95% of people aged over 18 have some form of parodontopathy. 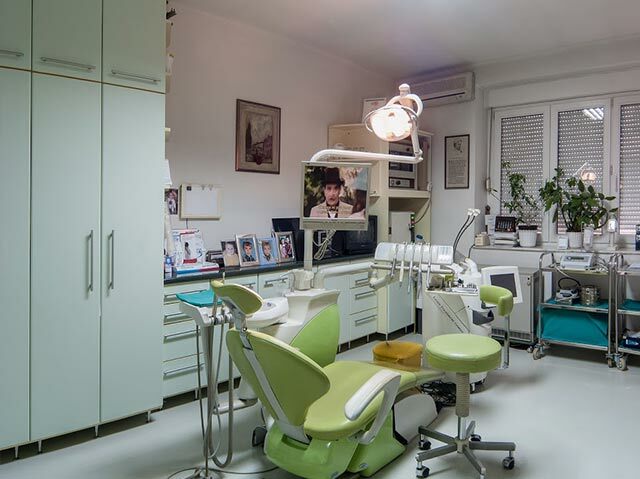 The signs and symptoms of parodontopathy are: bleeding and inflamed gums, the presence of calculus and concrements, bad breath, periodontal pockets, receding gums and exposed tooth necks and tooth roots, teeth changing position and in the final phase, tooth mobility and tooth loss. The course of the disease is usually slow, with periods of deterioration and improvement, but it can also be fast and result in teeth loss in a very short period of time. Localization can be limited to some teeth or all teeth. The treatment of parodontopathy is complex and long. Its success depends on the patient’s motivation and his willingness to cooperate. 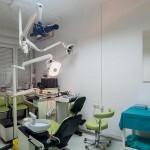 The precondition of a successful treatment is establishing adequate oral hygiene, which sometimes means making drastic changes in the patient’s oral hygiene habits (teeth brushing technique, use of dental floss and mouthwash). 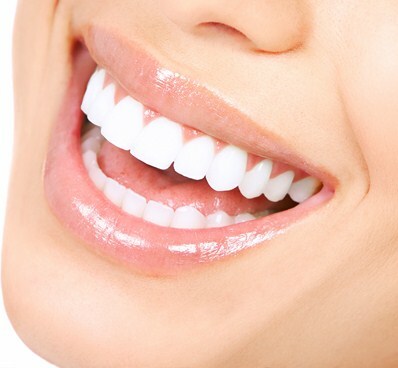 The importance of oral hygiene is huge because it eliminates the main cause of the disease- dental plaque. The treatment of parodontopathy cannot be successful without adequate oral hygiene! 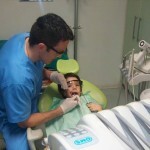 The treatment plan depends on the severity of the condition of the tooth supporting apparatus and entails the following therapeutic measures and procedures: treatment of complications, removing soft and firm deposits, replacing inadequate fillings and prosthetics, oral cavity sanation, treating periodontal pockets, bite balancing, use of antibiotics (general and local) and surgical interventions. 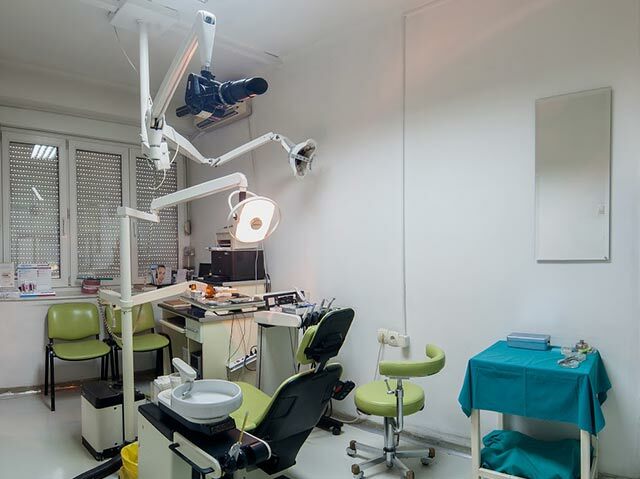 Surgical treatment of parodontopathy- flap procedure, involves making an incision, lifting back the gums surrounding the teeth and cleaning the periodontal pockets under the direct control of the surgeon’s eye. During this procedure, artificial bone or membrane can be added, which accelerates periodontium tissue repair. 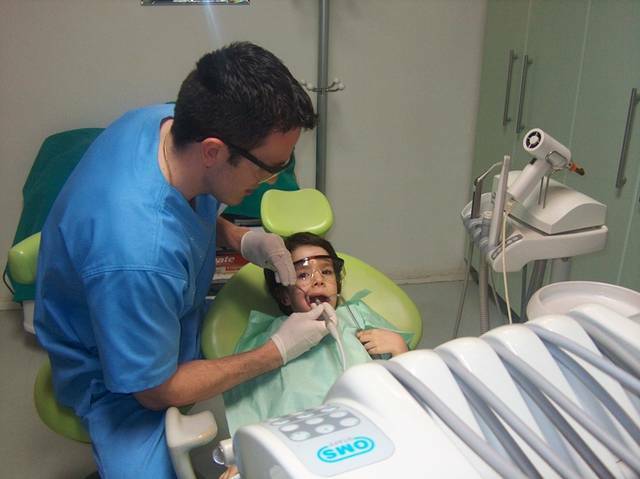 The goal of this surgical treatment is to reduce the depth of the periodontal pockets and remove the so called mucogingival anomalies and thus enable the patient to prevent the recurrence of the disease by maintaining adequate oral hygiene. 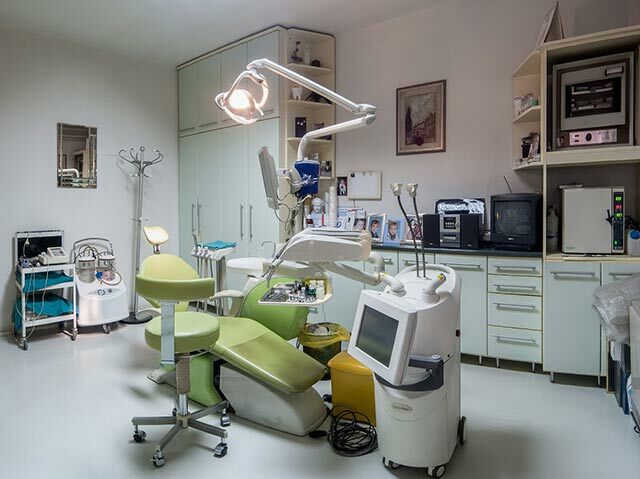 In our dental office, we use erbium yag laser for the surgical treatment of parodontopathy. 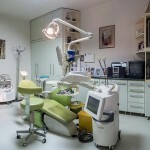 We also have a low-intensity laser which is used in conservative treatment of parodontopathy.